Yoriko Kawaguchi is a former Foreign Minister and Environment Minister of Japan, and is now a Visiting Professor at the Meiji Institute for Global Affairs in Tokyo. Ms Kawaguchi served as Minister of the Environment between 2000 and 2002 and as Minister for Foreign Affairs between 2002 and 2004. Subsequently she was appointed as a Special Advisor to the Prime Minister, responsible for foreign affairs, before entering the House of Councillors (the upper house of the Diet) where she chaired the Standing Committee on Environment. 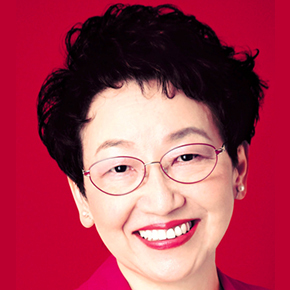 A former economist at the World Bank, she held the position of Minister in the Embassy of Japan, USA, in 1990. Between 1992 and 1993 she was Director-General of Global Environmental Affairs at the Ministry of International Trade and Industry (now Ministry of Economy, Trade and Industry). She holds a BA in international relations from the University of Tokyo and a master’s degree in economics from Yale University. She is also a recipient of the Wilbur Cross Medal, a Yale University award for distinguished public service.